Smaller catastrophes play complex role in estimating probability of x-risks. A chain of smaller catastrophes may result in extinction, but one small catastrophe could postpone bigger risks (but it is not good solution). 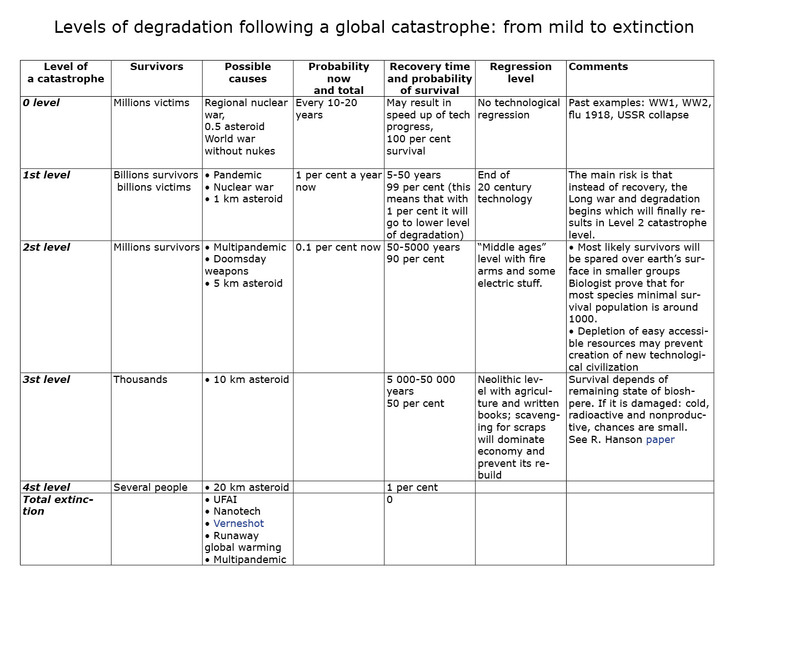 The following table presents different levels of global catastrophes depending of their size. Numbers are mostly arbitrary and are more like placeholders for future updates.